There were several verses of Quran revealed about him. One of the verses related to divorce was revealed after his wife complained to Rasulullah SAW that ‘although she did not complain about his character or religion’; she did not want to remain married to him. Rasulullah SAW, upon him be peace, then asked her if she were willing to return the garden that Thabit Ibn Qays RA had given her in dowry. She agreed and Rasulullah SAW, instructed him to ‘accept the garden and pronounce the divorce’. “It is He Who produces gardens, with trellises and without, and dates, and tithe with produce of all kinds, and olives and pomegranates, similar (in kind) and different (in variety): eat of their fruit in their season, but render the dues that are proper on the day that the harvest is gathered. But waste not by excess: for Allah loves not the wasters” (6:141). On this occasion, Rasulullah SAW: ‘you are not one of them, you live a praised life and you will die a martyr and enter the Garden.’ Thabit Ibn Qays RA was martyred in the battle of Yamamah during the period of Saidina Abu Bakr al-Siddiq RA. He was a man of great character and worship. On one occasion, Rasulullah SAW a light emanating from a house and said ‘perhaps someone is reading Surat al-Baqarah (the second chapter of the Quran)’. The next morning some of the companions went to the house and asked Thabit Ibn Qays RA what he was doing that night and he confirmed that he was indeed reading Surat al-Baqarah. 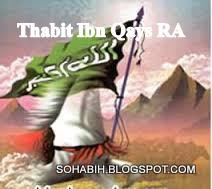 Thabit Ibn Qays RA was a chieftain of the Khazraj and therefore a man of considerable influence in Madinah. 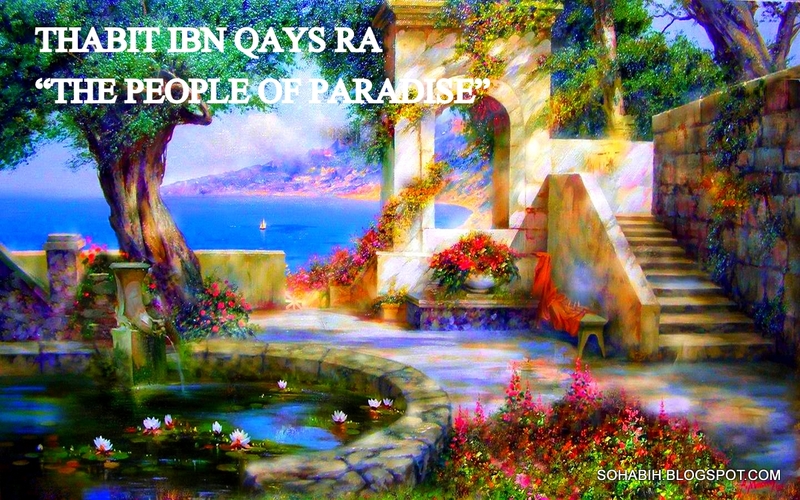 Thabit Ibn Qays RA was known for the sharpness of his mind and the power of his oratory. 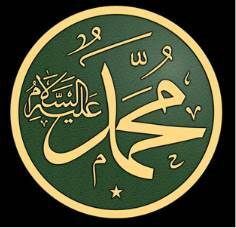 It was because of this that he became the khatib or the spokesman and orator of the Prophet and Islam. 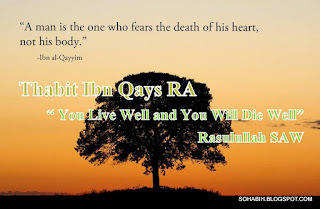 Thabit Ibn Qays RA became a Muslim at the hands of Musab ibn Umayr who’s cool and persuasive logic and the sweetness and beauty of his Quran recital proved irresistible. When the Prophet arrived in Madinah after the historic Hijrah, Thabit Ibn Qays RA and a great gathering of horsemen gave him a warm and enthusiastic welcome. 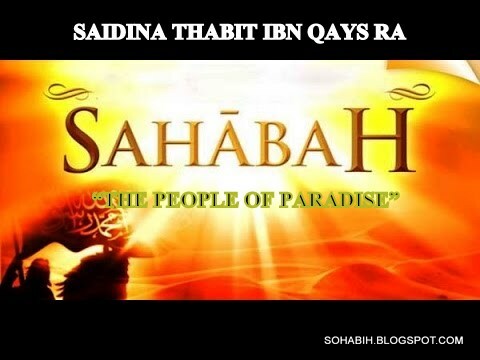 Thabit Ibn Qays RA acted as their spokesman and delivered a speech in the presence of Rasulullah SAW and his companion, Saidina Abu Bakr as-Siddiq RA. Thabit Ibn Qays RA began by giving praise to God Almighty and invoking peace and blessings on His Rasul and ended up by saying: "We give our pledge to you, O Messenger of God, that we would protect you from all that we protect ourselves, our children and our wives. What would then be our reward for this?" "We have come to show our prowess to you. 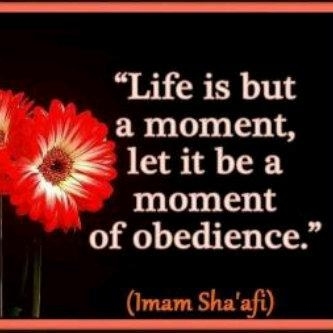 Do give permission to our Shaif and our Khatib to speak." Rasulullah SAW, smiled and said: "I permit your Khatib. Let him speak." Their orator, Utarid ibn Hajib, got up and held forth on the greatness and achievements of their tribe and when he was finished Rasulullah SAW summoned Thabit Ibn Qays RA and said: "Stand and reply to him." Thabit Ibn Qays RA arose and said: "Praise be to Allah SWT, Whose creation is the entire heavens and the earth wherein His will has been made manifest. His Throne is the extent of His knowledge and there is nothing which does not exist through His grace. "Through His power He has made us leaders and from the best of His creation He has chosen a Rasul who is the most honorable of men in lineage, the most reliable and true in speech and the most excellent in deeds. He has revealed to him a book and chosen him as a leader of His creation. Among all creation, he is a blessing of Allah SWT. He summoned people to have faith in Him. The Emigrants from among his people and his relations who are the most honorable people in esteem and the best in deeds believed in him. Then, we the Ansar (Helpers) were the first people to respond (to his call for support). So we are the Helpers of Allah and the ministers of His Rasul." "Indeed, Allah does not love any arrogant boaster." Rasulullah SAW, then tried to calm his anxieties and allay his fears and eventually said to him: "O Thabit, aren't you pleased to live as someone who is praised, and to die as a martyr and to enter Paradise?" 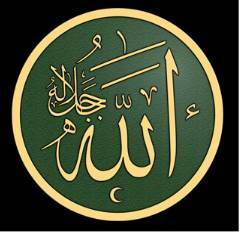 Thabit's face beamed with happiness and joy as he said: "Certainly, O Messenger of Allah." "Indeed, that shall be yours," replied the noble Rasulullah SAW. 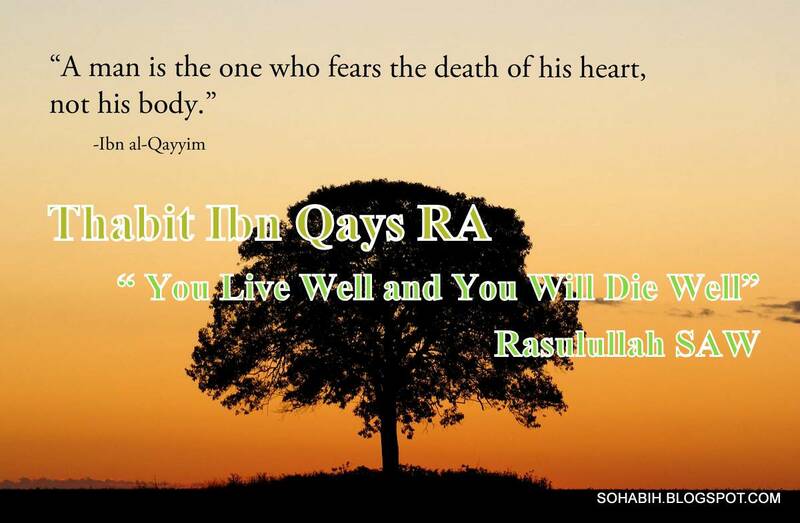 On hearing these words, Thabit Ibn Qays RA kept away from the meetings and gatherings of Rasulullah SAW in spite of his great love for him and his hitherto constant presence in his company. He stayed in his house a/most without ever leaving it except for the performance of the obligatory Salat. Rasulullah SAW missed his presence and evidently asked for information about him. A man from the Ansar volunteered and went to Thabit's house. He found Thabit sitting in his house, sad and dejected, with his head bowed low. "What's the matter with you?" asked the man. "It's bad," replied Thabit. "You know that I am a man with a loud voice and that my voice is far louder than that of Rasulullah SAW.. And you know what has been revealed in the Quran. The only result for me is that my deeds will come to naught and I will be among the people who go to the fire of hell." With the opening of the Silk Road, traders from the Middle East traveled with caravan to China. Along with commodities they brought to China, they also introduced their religion to China. Buddhism was the first which arrived in China, then followed by Nestorianism and Islam. Hui (Chinese Muslims) Legends say that the Companions of Rasulullah SAW overcame many hardships to bring the Arabic revelation to China. Sa'ad ibn Waqqas RA was believed to travel to China’s capital of Chang’an and Guangzhou. After he passed away in Guangzhou a tomb was built in his honor and it is now named the Tomb of Muslim Sage. 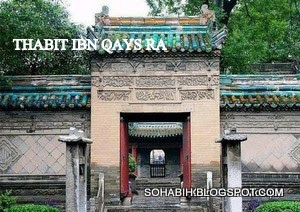 Thabit ibn Qays was also believed by Chinese Muslims that he traveled to China and died on the way back home and his tomb is now in Hami of Xinjiang Uygur Autonomous Region. After meeting Sa’ad ibn Waqqas RA and Thabit ibn Qays RA in Chang’an (present-day Xi’an), Tang Dynasty emperor Gaozong officially agreed the practiced of Islam in China in 651. Mosques began to be constructed in cities where Arabian traders lived, such as Chang’an, Guangzhou, Guangzhou and Yangzhou. Stone tablets unearthed in Xian’s Great Mosque suggest that the Great Mosque was constructed as early as the Tang Dynasty in 742 though most people doubt that Xian Great Mosque was built in the Ming Dynasty 600 years ago. General speaking, Guangzhou’s Huaisheng Mosque (also named Guangta Mosque) which was built in the Tang Dynasty (618-907) is believed to be the earliest mosque built in China. The meaning of Huaisheng in Chinese can be understood as "devoted to the Prophet", or else "devoted to the sage (Sa’ad ibn Waqqas)" who is supposedly buried there. However, the name may have originally been a direct translation of the Arabic word for "Companions of Rasulullah" (huai "to cherish" for the Arabic "sahabah"). The stele unearthed in the Huaisheng Mosque attributes the style of the Light Tower of Huaisheng Mosque to central Asia. It is likely that the tower was originally built in memory of a shaykh from central Asia who came to Guangzhou in the Yuan dynasty. 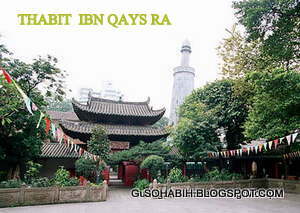 The second oldest mosque is believed to be the Ashab Mosque in Guangzhou. The name of "Ashab Mosque", which can be translated as Mosque of the Companions (of the Prophet), is found in a large Arabic inscription on the inside of the main entrance of Guangzhou Ashab Mosque. The full inscription translates as follows: This was the first mosque of the people of this land. This auspicious mosque is named the Mosque of The Ancient and The Old, is called the Mosque of the Congregation and the Street, and is titled the Mosque of the Companions. It was built in the year 400 AH (Song dynasty; 1009CE). Three centuries later, Ahmad bin Muhammad Quds, the renowned Hajji, the "Foundation", of Shiraz, built this soaring dome, widened the entrance, redecorated the doors and renovated the windows, completing the works in the Hijrah year 710 AH (Yuan dynasty; 1310CE). May the Almighty Allah be pleased by this act, and grant him mercy, and have mercy upon (The Rasul) Muhammad and his family. "When Thabit Ibn Qays was killed he was wearing a very expensive chain mail armor suit. 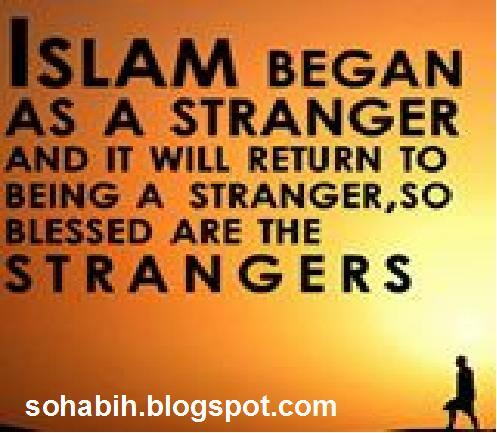 So when one of the Muslims - who had just recently accepted Islam – passed by him, he took it for himself and did not return it to the family of Thabit. He thought that just because no one saw him he didn't have anything to worry about. "I shall give you a piece of advice, so do not say that this is only a dream consequently leaving off what I say. When I was killed yesterday, a man from the Muslims passed by me and took my chain mail coat, and he is staying in one of the furthest houses. In front of his tent there is a horse that he is preparing to be trained. On top of the armor is a twine on which is a saddle. So go to Khalid and tell him to send someone to retrieve it. Also, when you get back to Madinah tell the Khalifah of Rasulullah SAW, Saidina Abu Bakr as-Siddiq RA and inform him that I owe so and so such and such, and to emancipate my slave, 'so and so'…." So the man went to Khalid who sent someone to retrieve the chain mail armor suit, and he also told Saidina Abu Bakr as-Siddiq RA about his dream, which put it in his will. "We don't know of anyone whose will was altered and executed after his death besides Thabit Ibn Qays RA. Yahya related to me from Malik from Yahya ibn Said that Amra bint Abd ar-rahman told him from Habiba bint Sahl al-Ansari that she had been married to thabit ibn qays ibn Shammas. The Messenger of Allah, may Allah bless him and grant him peace, went out for the dawn prayer, and found Habiba bint Sahl at his door in the darkness. The Messenger of Allah, may Allah bless him and grant him peace, asked her, "Who is this?" She said, "I am Habiba bint Sahl, Messenger of Allah." He asked, "What do you want?" She replied, "That thabit ibn qays and I separate." When her husband, thabit ibn qays, came, the Messenger of Allah, may Allah bless him and grant him peace, said to him, "This is Habiba bint Sahl. She has mentioned what Allah willed that she mention." Habiba said, "Messenger of Allah, I have all that he has given me!" The Messenger of Allah, may Allah bless him and grant him peace, said to thabit ibn qays, "Take it from her." He took it from her and she stayed in the house of her family." Once Musa bin Anas while describing the battle of Yamama, said, "Anas bin Malik went to thabit bin Qais, who had lifted his clothes from his thighs and was applying Hanut to his body. Anas asked, 'O Uncle! What is holding you back (from the battle)?' He replied, 'O my nephew! I am coming just now,' and went on perfuming himself with Hanut, then he came and sat (in the row). Anas then mentioned that the people fled from the battlefield. On that thabit said, 'Clear the way for me to fight the enemy. We would never do so (i.e. flee) in the company of Allah's Apostle (SAW). How bad the habits you have acquired from your enemies!' "
We went to Anas b. Malik through thabit and reached there (his house) while he was offering the forenoon prayer. thabit sought permission for us and we entered, and he seated thabit with him on his bedstead. He (thabit) said to him (Anas b. Malik): O Abu Hamza (kunya of Anas b. Malik), your brothers from among the inhabitants of Basra ask you to narrate to them the hadith of intercession. He said: Muhammad (may peace be upon him) narrated to us: When it would be the Day of Resurrection, some of the people would rush to one another in bewilderment. They would come to Adam and say: Intercede (with your Lord) for your progeny. He would say: I am not fit to do this, but go to Ibrabim (peace be upon him) for he is the Friend of Allah. They would come to Ibrahim, but he would say: I am not fit to do this, but go to Moses, for he is Allah's Interlocutor. They would come to Moses, but he would say: I am not fit to do this, but you should go to Jesus, for he is the Spirit of Allah and His word. They would come to Jesus, and he would say, I am not fit to do this; you better go to Muhammad (may peace be upon him). They would come to me, and I would say: I am in a position to do that, I would go and ask the permission of my Lord and it would be granted to me. I would then stand before Him and would extol Him with praises which I am not able to do now, but with which Allah would inspire me, then I would fall in prostration and it would be said to me: O Muhammad, raise thy head, and say and it would be listened to; ask and it would be granted, intercede and it would be accepted. I shall say: My Lord, my people, my people It would be said: Go, and bring forth from it (Hell) him who has in his heart faith equal to the weight of a wheat grain or a barley seed. I would go and do that; then I would return to my Lord and extol Him with those praises (taught to me by Allah), then I would fall in prostration. It would be said to me: O Muhammad, raise your head, and say and it would be heard; ask and it would be granted; intercede and intercession would be accepted. So I would say: My people. my people. It would be said to me: Go and take out from it (Hell) him who has in his heart faith equal to the weight of a mustard seed. I would go and do that. I would again return to my Lord and extol Him with those praises. I would then fall in prostration. It would be said to me: O Muhammad, raisevour head: say, and you would be listened to; ask and it would be granted; intercede and intercession would be accepted. I would say: My Lord, my people, my people. It would be said to me: Go, and bring out of the Fire him who has in his heart as much faith as the smallest, smallest, smallest grain of mustard seed. I would go and do that. Jamilah bint Salul came to Rasulullah SAW and said: "By Allah, I do not find any fault with Thabit regarding his religion nor his behavior, but I hate disbelief after becoming Muslim and I cannot stand him. "Rasulullah SAW said to her: 'WiIl you give him back his garden?" She said: "Yes." So the Messenger of Allah (saw) told him to take back his garden from her and no more than that. By another chain of transmitters in which these words are found: Thabit b. Qays was the orator of the Ansar, when this verse was revealed: the rest of the hadith is the same with the exception that there is no mention of Sa'd b. Mu'adh in it. This hadith is also transmitted by Ahmad b. Sa'id, Habban, Sulaiman b. Mughira on the authority of Anas who said: When the verse was revealed:" Do not raise your voice louder than the voice of the Apostle," no mention was made of Sa'd b, Mu'adh in it. Selected Videos about Thabit Ibn Qays RA.